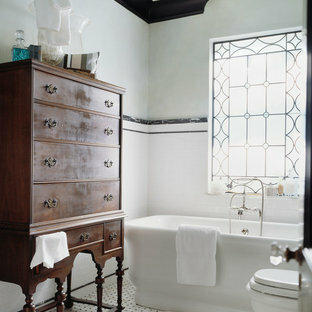 This guest bathroom features white subway tile with black marble accents and a leaded glass window. Black trim and crown molding set off a dark, antique William and Mary highboy and a Calcutta gold and black marble basketweave tile floor. 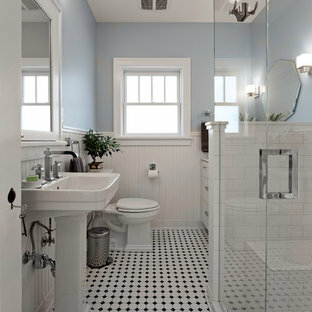 Faux gray and light blue walls lend a clean, crisp feel to the room, compounded by a white pedestal tub and polished nickel faucet. 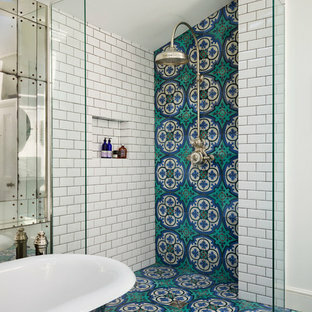 Philadelphia Encaustic-style Cement Tile - custom made and provided by Rustico Tile and Stone. 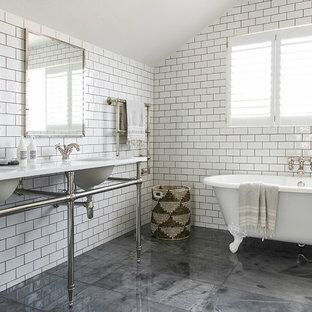 Wholesale prices and worldwide shipping for Cement Tiles. 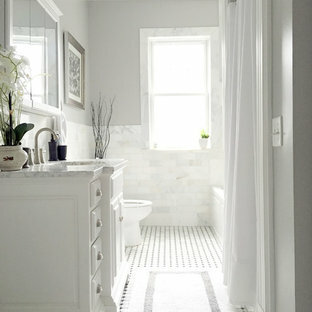 Rustico Tile and Stone offers 2 types of this Concrete Tile. 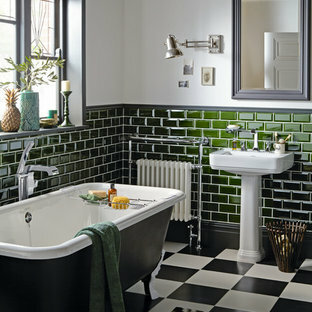 Our MeaLu Collection features this specific tile and other in-stock, ready-to-ship Cement tiles. 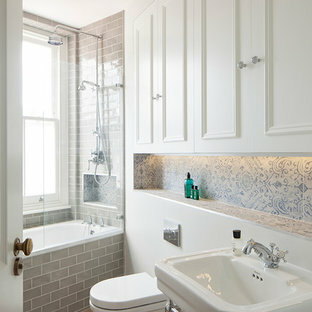 Or customize your tile with designs from our Traditional Collection. Learn more by calling or emailing us today! 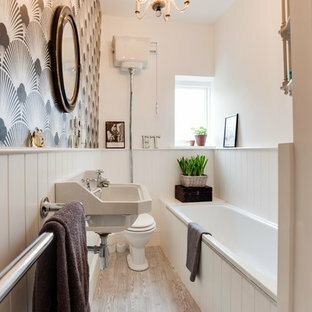 (512) 260-9111 / info@rusticotile.com Bathroom design and installation completed by Drummonds UK - "Makers of Bathrooms"
The tile in the kids' bath is all new, designed to look original to the 1936 home. 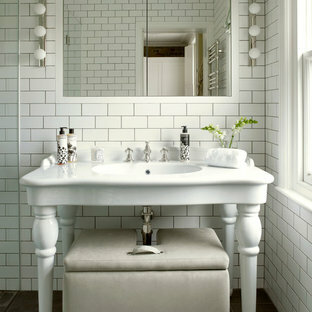 The tile is from B&W Tile in Los Angeles. Photos by Scott LePage Photography.